Judith Levin Gallery07889 509627work Shop - GiftAn independent, artist-led gallery selling original oil paintings and prints by local and internationally-collected artist Judith Levin. We sell various heather moorland landscapes inspired by Brontë Country, as well as other paintings and a growing collection of prints, cards and merchandise items. 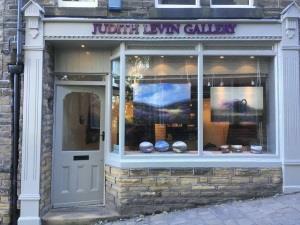 An independent, artist-led gallery selling original oil paintings and prints by local and internationally-collected artist Judith Levin. We sell various heather moorland landscapes inspired by Brontë Country, as well as other paintings and a growing collection of prints, cards and merchandise items. Open: Saturday and Sunday 12.00 – 17.00 and by appointment. For additional opening hours, please contact the gallery direct.